Stone House can accommodate groups from 10-60 people in a variety of private and semi-private settings, so book your company or family party with us today. You can choose from our pre-set party menus or customize a menu to suit your needs. Visit our web site at www.stonehouserestaurant.ca for more information. Stone House Restaurant offers a variety of private and semi-private dining areas with an intimate and elegant setting. We have everything from a secluded table for 6 in our Orient Express to a large group of 70! We have a private room that can accommodate a group of up to 32 people and it includes a TV for presentations. Stone House Restaurant features Steak and Seafood with a European Mediterranean flair, including such specialties as gourmet, thin-crust pizzas, magnificent risottos and pasta dishes. We also offer delicious entrees including Grilled New York Striploin, Filet Mignon, Rack of Lamb, as well as several seafood options and our Catch of the Day. When you dine at Stone House Restaurant, you will want to save room for one of our decadent, house-made desserts. Don’t forget to ask to see a selection of our mini desserts! We are able to accommodate private group functions of 10 to 72 people. Our private room is fully equipped to meet your audio visual needs. And remember, if you are going to the Niagara region, visit our sister restaurant Lake House, located right on Lake Ontario at the Victoria Street exit of the Q.E.W. It was a wedding anniversary celebration. Heart confetti adorned he table. Nice touch. Waitress was very good at detail and listening to special requests. The mini desserts were good but all very similar. Would have been nice to have a tiny tart or cookies or something other than creamy choices. We will return. Overall, a good experience. Another wonderful dinner with friends. The food,service, and atmosphere were great. Everything was amazing! We all got the price fix and we’re not disappointed. My only criticism would be I don’t love the little shot glass desserts. I do have a sweet tooth so would prefer something like creme brûlée. Everything else was top notch . We had a nice booth that was private so we could talk without it being too loud. I would go back in a heart beat! Ordered two rib eye steaks that were done to perfection. Waitress was excellent. Parking very easy. Always has great specials but suitable for carnivores. We enjoyed our meal very much and the waitress was wonderful. Mixed review my roast beef dinner was very good. Nice cut of meat. I enjoyed my dinner very much. Although my husband had the fillie/peppercorn sauce and it was not very good, very grizzly. He could hardly cut the last few pieces. So he was very dissappointed with his dinner. Found it pricey. And the waiter was okay? I would like to try the pre fix dinner next time. Might be better value. $10.95 each for salad is a bit much I think!!!! Therefore not a great rating cause for the price two meals should be excellent. Great food. We went with friends to celebrate an over due get together. Denise, our server, was amazing. Polite, knowledgeable about the menu, quick with service. Always a fabulous place to have a great dinner with friends! First time being here and they did not disappoint at all! 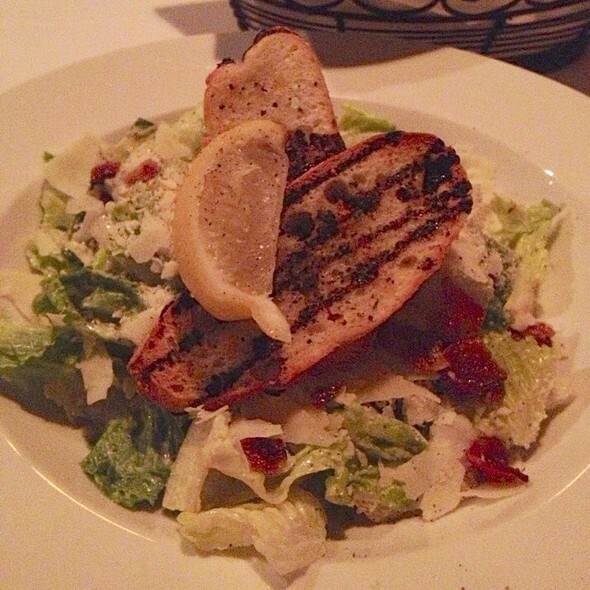 We love the choices on the menu and would want to try everything on the menu. Just a fantastic experience and the food was delicious. We had a lovely, private booth that comfortably fit four adults. Our waitress was efficient without being intrusive. There was a gluten free menu for one of our party and they also offered to adapt items on the menu if at all possible. Our food was good as was the wine selection. The presentation was beautiful! We were never made to feel rushed. I will definitely go here again. It was my first time at this location. I've been to the Lakehouse in Jordan (under the same ownership) and it is quite lovely as well. Having gone to the sister restaurant of Stonehouse before maybe our expectation were too high, not sure. 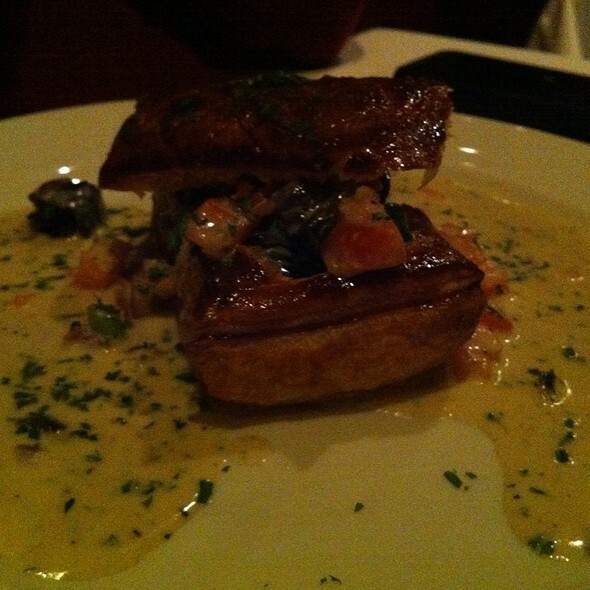 Overall the food was very good and in line with what we were expecting however the service left much to be desired. They missed part of our order of appetizers, though making it up to us by not billing us for that appetizer they then didn't re-sequence the orders, hence our main arrived seconds after our appetizer, which meant it went back to the kitchen probably staying under a heating lamp until we were ready for it, which took away from its freshness. Overall for a first experience, wasn't quite what we expected. I am not quite writing this one off, so hopefully next time we'll have a better experience. Tara thank you for taking such great care of us on Saturday evening, we were the 5:30pm table. It was a special occasion with friends catching up after all these years of not seeing one another. 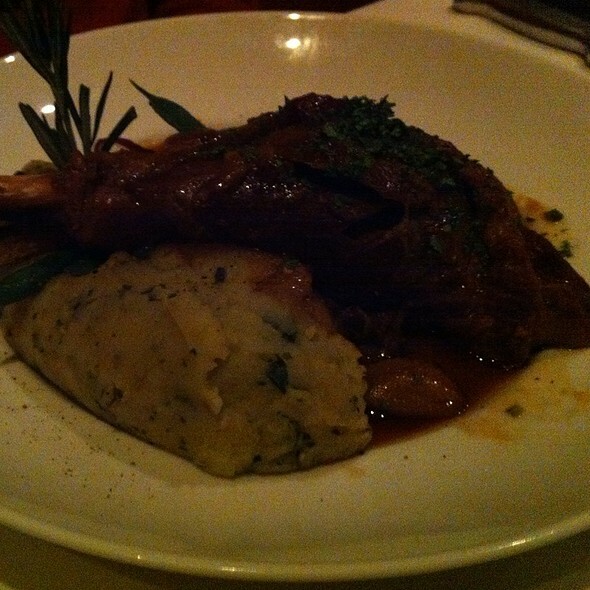 You took your time and very patient with us, and made the dinner a highlight of our weekend. Thank you again. as always the food was outstanding.You get what you pay for.Never had a bad meal there.Great value for the price.will be back. Simply outstanding as usual! Such a relaxing and romantic ambience. The staff here are all amazing, Denis, Dominique, Michael, Laura, Leslie and Jasmine! To name a few. Joseph the owner is so pleasant and cares so much about his customers. 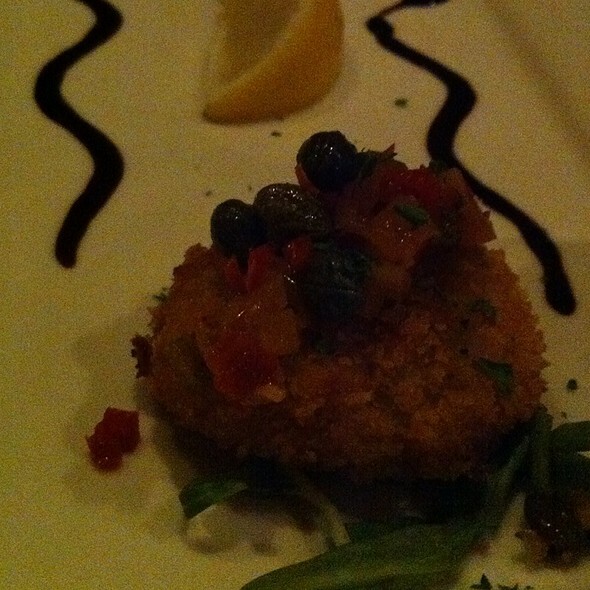 The food is ALWAYS great, favourites are the crabcake appetizers and the Old Blue stripsteak. See you in a month or so! Nancy and Dennis from Oakville. Birthday celebration and I got a chess cake on the house. Thanks for your recent review of Stone House! Enjoyed our experience,good food,great service private seating. Our expectations were over achieved. We are very happy to hear that Stone House was beyond your expectations! We look forward to serving you again soon. Good food, good service, friendly staff. Thanks for your review of Stone House! Magical premiere dining located on the property of the San Ysidro Ranch. The room is lovely indoor and out. Service is professional but not stuffy. The food is fit for foodies with a wonderful twist to even the flame items served table side. Very well done! Congratulations to the Stone House! We were a party of 4 and everyone enjoyed their meals. Our waitress was Mary and she was a professional server. From start to finish she made sure we were looked after. This will be a new 'go to restaurant ' for us. We appreciate you taking the time to let us know about your dining experience at Stone House. Thanks for the 5-star rating! This was our first visit to Stone House. 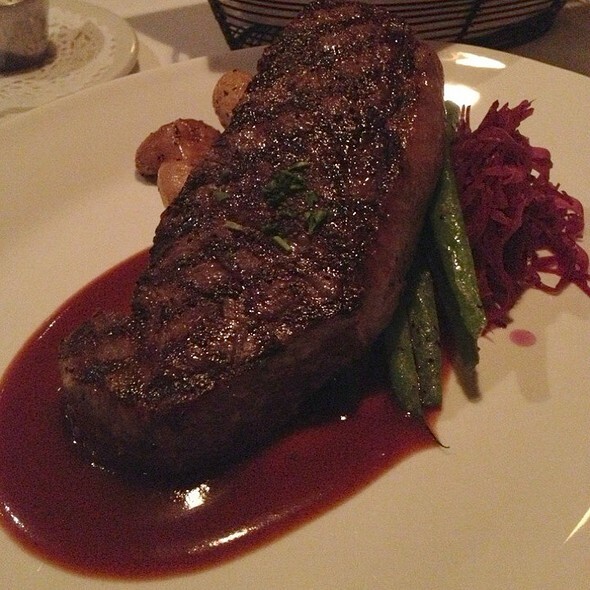 The ambience, service and food quality were excellent and we will certainly return. We loved our evening there. We are very happy to hear that you loved your evening at Stone House and that you gave us a 5 star rating! Thanks! 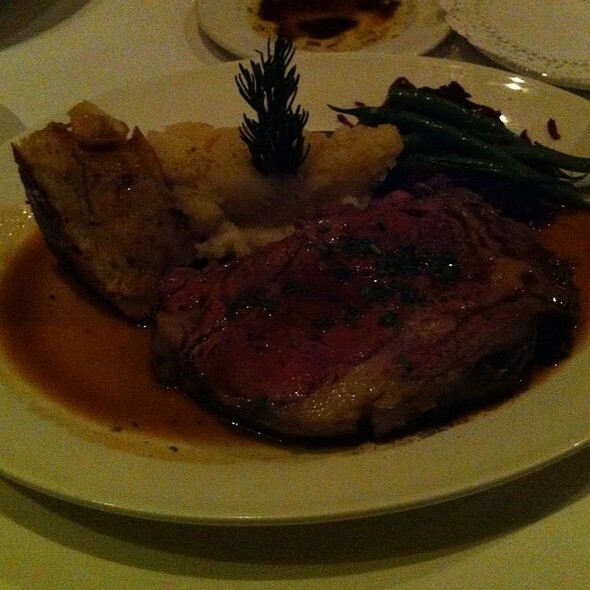 My family really enjoyed their dining experience and highly recommend the Stone House. The service was fast and excellent. A nice touch was the birthday confetti on the table and dessert for my husband. Our meals were delicious and we will definitely be back again. Thank you for taking the time to post a review. We appreciate the 5 star rating! I often choose Stonehouse when I'm looking for a consistently great meal close to the highway so I can easily meet up with friends and family from all over. The manager checked our table at least twice our last visit to ensure everything was great. Everyones likes this place! Thanks for taking the time to let us know about your event visit to Stone House. We are thrilled to hear that you enjoyed everything so much! It was our first time eating at the Stone House. Our server was attentive and very helpful. Our food was delicious. We will definitely be back. 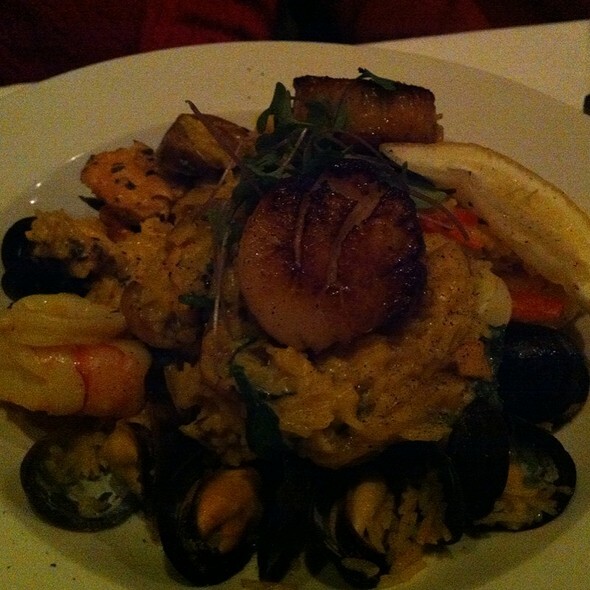 We are so happy to hear that you enjoyed your first visit to Stone House and that the food was delicious! (ordered as a main so it would have had time since we waited for the other Mains: 15 minutes or so). A salad should never taste cold 'out of the refrigerator'! We really enjoyed our delicious meal. The server was very considerate and efficient. It is a beautiful venue. We shall be happy to return one day. It was excellent. We ordered five different dinners and all of us enjoyed our meal. I would only comment that the service was over the top. I feel that the server was too efficient. Thank you we will be back. Classic old school restaurant. Varied menu and the Taste of Burlington prix fixe was great. The experience we had at Stone House Restaurant was phenomenal! Everything about our evening at The Restaurant was amazing. From the moment we walked in, we felt welcomed, comfortable and important. The hostess did a fantastic job. Our table was decorated with colorful, yet subtle, birthday confetti to celebrate my wife’s birthday. 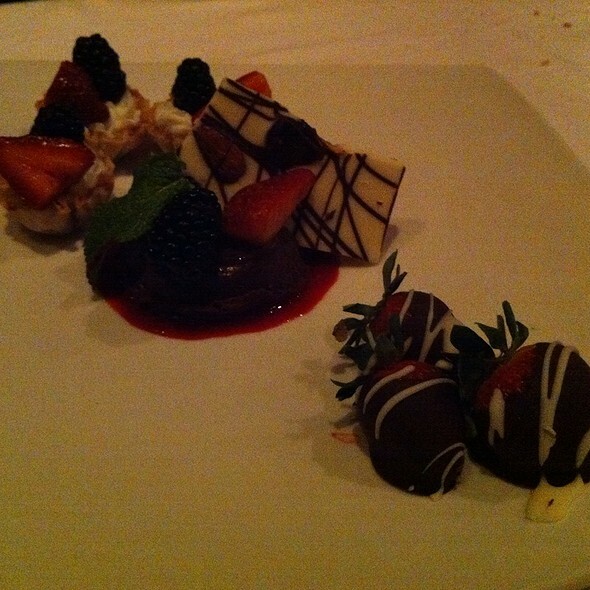 This little tiny detail, along with the birthday cheese cake that was brought to our table made my wife feel special. In addition, our server, Mary, was INCREDIBLE. She never allowed our water glasses to go empty, she took care of our orders and plates in great time. We were very impressed by her attention to detail. Overall, our experience was amazing and one that we will be sharing with our friends and family. We tried Stone House with the Taste of Burlington. We enjoyed the dinner very much . Our server Brendan was very knowledgeable and was attentive to the special requests we made regarding food items, all of which the chef was able to accomodate. Food presentation and taste were excellent. We will be back. The restauarant is beautiful and the menu varied, unfortunately the kitchen is unable to deliver the quality promised. The short rib was so dried out and tasteless, it was inedible. Two people had the pizza at our table and found the crust thick and soggy, the toppings sparse. The last person had the duck with wild mushroom risotto, and found it very bland with an extremely small portion of duck. We’ve tried this restauarant in the past and found it to be mediocre in quality, but this time it was so disappointing we won’t be back. We all ordered from the Prix-fixe menu and were not disappointed. Portions were perfect and food was delicious. Fabulous calamari appetizer and potato gnocchi entree!!! Unfortunately, the cod catch of the day entree was served with an over salted wild rice which ruined the delicate piece of cod that was cooked to perfection. 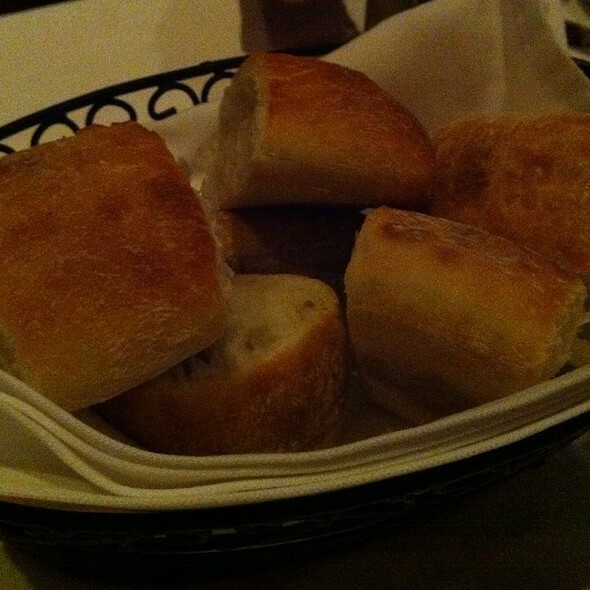 The server was very pleasant and checked in regularly to ensure we were enjoying our meals. Would certainly recommend dining at Stone House!